Testing a winch to its stall point involves a procedure one normally tries hard to avoid: pitting an immovable object against an (almost) irresistible force. There are a lot of things to go wrong in a dynamic system comprising a chocked, 6,000-pound vehicle, a bolted-on electrical device capable of exerting five tons of pull, a synthetic rope the diameter of a ball-point pen, an expensive and sophisticated dynamometer, and two very large fixed anchors. Nevertheless, we had decided that as part of a comprehensive review of electric winches, we needed to test each one to make sure it could reach its advertised capacity. Our procedure was carefully designed for safety; each component was rated well above the capacity of the most powerful (12,000-pound) winch in the review. The synthetic rope itself boasted a 19,600-pound load limit. With the first winch mounted and all systems and attachments checked and checked again, we were ready to start. When a heavy-duty winch rumbles to life, turning hundreds of amps of electrical current into mechanical energy through compound gear reduction, it’s always an impressive event to witness, even if you’ve seen it dozens of times. The winch whirred away, its gears rotating in harmony as the line tautened and the front of the Jeep began to squat. The tenor of the winch motor slowed to a baritone as the rope began to creep slower and slower and we watched the numbers on the dynamometer climb higher. I was hoping the winch would pull to at least its rated capacity of 9,500 pounds. It did—and then, to our surprise, kept right on pulling: 10,000 pounds, 11,000, 11,500, 12,000—more than 25 percent beyond the manufacturer’s specs and still pulling, although now obviously close to stalling. And then, BANG! The winch end of the rope parted and shot through the crisp forest air so fast my eye couldn’t follow it, taking the line damper for a thrill ride, traveling a full 80-something feet to the anchor and 30 feet beyond before landing on the ground. What a rush. Why did the line snap? We’re still not sure, although it happened right at the drum. From that point on we used a single, identical rope for the remainder of the test with no failure. But a broken winch line was just the beginning. Things soon got much more exciting. Many vehicle accessories can be bought on a whim, but choosing a winch requires a lot more thought. In my mind, there are four components to the decision-making process. Cost: Will the winch and all the modifications and accessories necessary for a complete, reliable, and safe system (which will likely double the cost of the winch itself) fit into your budget? Will your frequency of use justify the expense and any compromises? Or are you better off putting the money into other modifications, and relying on a shovel, a kinetic rope, and a Hi-Lift jack for rare recovery situations? Effect on the vehicle: A 100-pound winch stuck out on the front bumper will negatively affect your suspension and braking performance. Adding a second battery in the engine compartment exacerbates this. Cargo (weight) capacity of the vehicle will be reduced; the alternator and battery will be subjected to extra work loads. In rare circumstances a winch can damage the vehicle itself by bending the mounting system or bumper. Duty: How frequently will you use a winch? 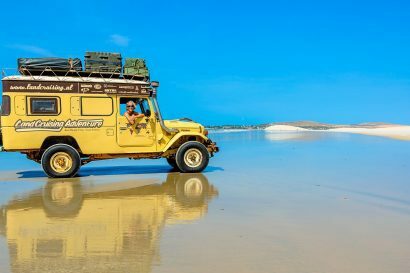 Do you travel solo, and will your use involve extracting your own vehicle perhaps once or twice per year, maybe helping someone else now and then? Or do you travel with a group in areas that might require you to winch multiple vehicles up obstacles several times a day? Line speed is a factor here as well. Slow line speed is no problem—and can be an advantage—when winching one vehicle now and then, but it’s a pain when you need to pull six companions up a dune when the sun’s going down. Knowledge: Are you willing to invest the time and effort to learn all there is to know about winching? Winching involves forces that can be disfiguring or fatal if mishandled. Vehicles can be seriously damaged, even written off if a badly managed pull goes wrong in a precarious situation. Since this article is focused on performance testing a specific group of winches, I won’t go into an extensive discussion of these considerations, but you should evaluate each aspect before making your decision. In addition to the price of the winch, you need to factor the cost of proper mounting and a sufficient electrical supply, plus tree protector straps, shackles, pulley blocks, winch line extensions, a line damper, safety equipment, and possibly a synthetic rope replacement for the standard steel cable, depending on your preferences. You might also need to upgrade your suspension and even your brakes. Finally, a day or two spent with a professional trainer is worth months of trial and potentially hazardous error on your own. There are several types of winches available for 4WD vehicles. By far the most popular, and the one we tested here, is the electric winch, which uses a motor powered by the vehicle’s electrical supply to run the gearing that turns the drum around which is wrapped the (steel) cable or (synthetic) rope. Electric winches are generally the most affordable; they’re also the easiest to mount, since, to drastically simplify the procedure, you simply bolt it on the mount and hook up the electric leads to your vehicle’s battery. Electric winches are available in a wide range of capacities to suit any vehicle from a Samurai to a Unimog, and aftermarket winch bumpers are almost universally designed around common electric winch base plate sizes. An electric winch relies on a great deal of amperage to run the motor and turn the gears. As you can imagine, using electricity for such powerful tasks as freeing a stuck vehicle or moving a fallen tree from the road will result in a great deal of heat generation. This is the limiting factor with an electric winch, as it can only be used for so long before it needs to cool down, or before the amperage draw overcomes the capacity of the battery and charging system. On the other hand, an electric winch can operate, at least for brief periods, with the engine off, for example if the vehicle has stalled in a hazardous spot, or the engine must be turned off to avoid water ingestion during an attempted crossing. Other types of winches include the mechanical, or PTO (power take-off) winch, which is driven by the vehicle’s engine through a drive shaft from (usually) the transfer case. You’ll see two configurations: the capstan winch, which has an upright drum and uses an unattached rope that is simply wrapped several times around the drum to give purchase—just like the capstan on a boat, for which it is named—and a standard horizontal drum version that looks much like an electric winch except for its power supply. The advantage of a PTO winch is that it allows much longer duty cycles, since it is driven mechanically from the engine itself, and thus doesn’t overtax the electric system or generate excess heat. Think of the axles and wheels on your vehicle, also driven through the transmission and transfer case. They use the power of the engine and can move an enormous load (the vehicle) up inclines and over great distances all day long. The big disadvantages to mechanical winches are the complexity and cost of installation, and the fact that the vehicle must be running for the winch to operate. PTO winches are scarce in the current market on new vehicles, but you’ll still see them on vintage Land Rovers and Land Cruisers. The other type of winch is the hydraulic winch. Commonly found on much heavier vehicles such as military transports, consumer hydraulic winches are usually driven off the power steering pump. This gives them a duty cycle rivaling that of PTO winches, with the same condition that the engine must be running. Also, a failed power steering pump means a failed winch. Among the multitude of electric winches on the market, we narrowed the field to a selection of just five we felt provided a well-rounded mix of brands and models for common overland applications. We avoided the heavily discounted, reverse-engineered copies of well-known brands that have flooded the market recently, choosing instead to reward those companies that invest their own time and money on product development and innovation. It would be dramatic to conduct a winch test as a glamorous affair involving an international team of men and women outfitted in khakis, slogging through muddy rivers deep in some Central American jungle. While that would make a great story and gripping photos, there would be one fatal flaw in the procedure, and that is the lack of repeatability. To fairly compare the performance of equipment such as this, you must be able to repeat the same task for each winch in the exact same way. To achieve this, we used a single vehicle as the mounting and operating platform for every winch: a 2008 Jeep Wrangler JK with an EarthRoamer camper conversion. The JK frame is one of the strongest available on the market today, and the charging system on this vehicle uses a 150-amp alternator that gave us a measured 132-amp output at 2,000 rpm, which greatly assisted in mitigating amperage draw on the battery. A ProCal module from American Expedition Vehicles, which plugs into the OBD II port, allowed us to maintain a 2,000 rpm idle during winching operations. A Lifeline AGM deep-cycle battery with 80 amp-hour capacity and 800 cranking amps was continually monitored and recharged to maintain a proper power supply. For power connections, we used the cables supplied by each winch manufacturer. To verify pulling force we used a calibrated and certified Dillon EDXtreme 25,000-pound dynamometer with 0.1-percent accuracy, 0.1-percent repeat variance, a digital display with an update rate of twice per second, and peak load recording capability. Each winch was outfitted with a 3/8-inch x 100-foot, Dyneema AmSteel Blue synthetic line from Viking Offroad, with a 19,600-pound rating. As mentioned earlier, the first rope broke when trying to stall the first of the winches tested, but we used a second rope that came from the same spool at Viking’s facility for the duration of the test, with no problems. Given our previous experience with Viking’s lines, we strongly suspect that some external contaminant, such as a bit of metal debris working its way into the fiber, was the cause of the failure. We subjected each winch to four tasks. First was a no-load line speed test. Second was a controlled hill climb conducted on a 12-degree slope, for which the Jeep pulled itself, along with a loaded trailer (gross weight = 8,680 lbs.) up the slope while attached to an anchor vehicle at the top. The distance traveled was 80 feet, and the winch was monitored for line speed, temperature readings, and amperage draw. The incline was paved asphalt to eliminate surface variations and ensure absolute repeatability. The dynamometer was used to verify that no load anomalies occurred. The third test was a verification of the winch’s published load rating, and was conducted each time using the same fixed anchors, same vehicle, same battery, and the dynamometer. (After our experience with the first winch, we decided not to take each and every winch to its stall point, but only verify the load rating.) The fourth test contained a potential variable (a dirt surface), but represented a real-world scenario: The winch had to pull a 7,780-pound Unimog up a rough 16-degree hill for two consecutive full-length pulls, beginning with only eight wraps of rope on the drum. For the Unimog pull, the winch was monitored for line speed, amperage draw, and temperature readings. Four hundred man-hours later, we had our answer. Mile Marker built its reputation making hydraulic winches, and has supplied the U.S. military with winches for the legendary Humvee. Recently the company developed a product that brings new technology to market: an electric winch without a solenoid. A solenoid is essentially a heavy-duty electro-magnetic switch adjacent to the load that allows a lighter-duty switch such as a hand-held remote or dash-mounted rocker to control the flow of current. Until now, virtually all electric winches used solenoids, which can eventually corrode and stick (on or off), to route current to the motor. Mile Marker’s new V10 10,000-pound winch uses a sealed MOSFET controller with solid-state circuitry. There are several advantages to this. One standout is variable speed winching: You can adjust the line speed on the V10 using a joystick switch on the handheld remote. Another is that the controller enclosure is sealed to IP67 standards, which means it’s dustproof and impervious to temporary immersion in water up to one meter. And one of the greatest advantages is never having to deal with stuck or broken solenoids. The V10 is one of three winches in the test to employ planetary gears. Planetary gears rotate inside each other, creating a very compact gearbox and a smaller package for the winch. The caveat with planetary gears (as well as spur gears such as on the Warn M8274-50) is that they freespool easily, and so require a braking system. The V10 uses a cam-actuated friction brake for this. The motor on the V10 is a series-wound style (as are all of the motors on our tested winches) which is the proper choice for a winch of this capacity. Series-wound motors are more powerful and efficient at high speed than cheaper permanent-magnet motors, are able to withstand much longer duty cycles, and are more durable, even though they draw slightly more amperage. The V10 is a tidy, low profile package; weight is middle of the group at 81 pounds without cable. If you enjoy having the latest technology in your equipment, you’ll love this winch. Aside from the solid-state controls, the V10 adds a new element to user feedback and awareness; color-coded LED lights. Two locations provide illuminated status indicators: the hand control, and the front of the control box, which is visible to anyone in front of the vehicle, even at a distance. Rotate the power knob and plug in the handheld control, and its LEDs indicate power on, winch forward, and winch reverse, all different colors depending on status. Two bright LEDs on the control box indicate the same status, and are easily visible from 100 feet away to someone in a vehicle being recovered, or by a marshal directing the recovery operations. Some may think this feature is fluff. While I agree that it’s not totally necessary, a practice as serious as winching benefits from any additional layer of safety. Visual signals can help, especially for participants who can’t see the winch drum or hear the motor running. While there are extra cable connections to make due to the MOSFET, installation of the V10 is straightforward and easy. All the connections are color-coded and enclosed in FRP (fiberglass reinforced polyester), which should enhance durability. Once installed, all the controls and operations were intuitive and clearly defined with the aid of the status lights. I found the mounting bolts for the roller fairlead a bit puzzling. They have hex heads half as thick as standard bolts. There were no clearance issues to warrant this, and it made fastening the bolts into the mount awkward, as the socket tended to slip off the bolt head. The V10 performed well in all the tests, and had no problem reaching its rated load capacity of 10,000 pounds. There is a bank of cooling fins on the top of the MOSFET unit, and it obviously has a function. While the solid-state control didn’t exceed 74°F on the paved hill climb, it reached 114°F during the double-pull session with the Unimog on a cool day. The motor hit 174°F during the Unimog pull, the second highest in the test. The variable speed control is useful; however, the V10’s no-load line speed is the second-slowest in the test, so the benefit is somewhat limited. Minor complaints include the large orange on/off knob on the side of the controller, which is plastic and feels a bit flimsy, with some side-to-side play on the switch post. Between the crystal-like LED bulbs and bright orange knob, I can see this being an attractive play toy to a kid in a parking lot. We also noticed that the drum is difficult to rotate when free-spooling. Mile Marker’s trademark colors are orange and black, and I must say that you’d be crazy not to fit this winch with the orange and black Viking winch line we used in the test. They go together perfectly. If you were wondering which winch pulled so far beyond its rated capacity in the beginning of the article, this is it. From the beginning, I felt comfortable with the Ramsey. By the end, I was very impressed. Ramsey provided a comprehensive kit, including a strong mounting plate made specifically for the JK frame (sold separately), necessary power cables, a hand controller, and a wireless remote with antenna. Installation was almost effortless, and actually fun. No parts were missing, and everything went into place without cursing, trimming, bending, or coaxing. Installation went quickly; however, the mount is meant to be installed with the stock bumper, which we did not use for the test, so I can’t comment on that part of the process. The wireless remote control is a key-fob-sized unit that communicates with the winch through a small antenna with a magnetic mount and removable aerial. The antenna cable runs to a small control box that can be mounted in the engine bay. There are three connections: a ground wire, a harness with a single clip connector that plugs into a pigtail on the winch, and a controller cable that plugs into the winch controller. A clip is provided to stow the end of the controller cable on the back of the winch when it isn’t being used. To use the remote, you depress the power button for two seconds to arm the winch. A small LED light indicates success, after which either of the two directional buttons can be used to winch in or out. In addition to the wireless remote, the 9500 UT has a clever innovation I was eager to try out: a semi-automatic clutch. On most winches you need to set a lever on the winch to freespool, then pull out the rope needed to reach your anchor, then walk back to the winch to engage the clutch, or the person in the driver’s seat has to get out and engage it. On the Ramsey, by simply engaging the switch on either the hand control or the remote, the clutch lever flips from the free-spool position to engage the gear train and begin winching. During all our testing, the semi-automatic clutch mechanism worked without fail. Another thing I immediately noticed and liked about this winch is the housing design. The solenoid assembly is mounted inside a rugged metal enclosure that is an integral part of the winch, bridging the motor case to the gear case over the drum. This provides structural integrity, affords substantial protection to the solenoid assembly compared to the common bracket with plastic box cover, and adds a measure of overhead protection to the spool and rope. If you have a bumper that will accept this type of integrated housing, it’s definitely a benefit. A downside would be if the winch is subjected to frequent deep water crossings, and you wanted to protect the solenoid assembly by mounting it somewhere higher on the vehicle. The 9500 UT uses a sealed 5.5-horsepower series-wound motor, along with a sealed drum and sealed planetary gear assembly. This adds some degree of insurance to wet recovery operations and use in humid or salty environments. The Ramsey scored favorably in all tests, including line speed, amperage draw, and component operating temperatures. The winch felt solid and pulled strongly, and performed without any complaints or odd behavior. I expected the high horsepower motor to run hot and draw a lot of amperage, but both these results were modest. Overall, I am highly impressed with this winch considering its consistent and strong performance, stout construction, sealed drive train, reasonable weight and profile, and the fact that it comes with both a handheld controller and a wireless remote with antenna, is made in the U.S., and carries a limited lifetime warranty. The Superwinch Husky was one of two classics (along with the Warn M8274-50) that couldn’t be excluded from a review such as this. Superwinch has a storied history and has supplied winches for expeditions around the world, including many of the legendary Camel Trophy events. The Husky is built in England, then shipped to the U.S. where the motor and solenoid are added. The Husky series is famous for its heavy-duty construction and ultra-strong worm-drive gearing (unique in this test), with a low 294:1 ratio. The worm wheel is made of phosphor bronze with a steel center, the spur gears are case-hardened nickel, and the worm shaft is case-hardened and polished. The gears run in an oil bath (which requires changing at specified intervals). Pick up one of these winches and it’s obvious they don’t skimp on materials. I was impressed with the heft and apparent durability of the unit, although it was a bit difficult to deal with during installation. In contrast to the common 4.5 by 10-inch pattern for the mounting bolts, the Husky uses a metric pattern of 125mm by 276mm (4.9 x 10.9 inches). This can be problematic if you try to mount it on a plate other than Superwinch’s and simply drill new holes for the bolts, as they will be too close to the standard pattern, creating a potential weakness in the material. Another characteristic of the Husky is that the bottom of the worm gear housing is lower than the mounting feet, and the post for the motor ground is on the bottom of the motor, creating clearance issues unless you have a large open void just to the side of your mounting plate, or use one of Superwinch’s own plates (although they don’t offer one for the JK). But Superwinch provides large machined spacers to raise the winch so it clears a flat plate. Another fitting issue is that the gear case is very long, so the winch sits farther forward on the vehicle than winches with more compact planetary gearsets. The clutch lever feels as stout as the rest of the winch, and should withstand a lot of abusive handling and hard hits without breaking. Placement of the lever is not particularly friendly to left-hand drive vehicles, requiring a driver/operator to reach across the winch to operate it. The Husky’s hand control is the most comfortable and well-designed here. The handgrip itself is ergonomically molded to naturally locate fingers around the handle. The metal toggle switch is protected inside a circular rim, which protects the switch from accidental operation. Once installed and powered up, I expected the Husky to be slow due to the huge reduction factor in the worm gears, but wow is it slow. Although the published no-load line speed is 22.6 feet per minute, our test on the first couple of layers of the drum actually resulted in 32 fpm. However, once under load, it crept along at 12 fpm, and as low as 9 fpm on the Unimog pull. I don’t know how the Camel Trophy guys handled that trying to get 20 vehicles through bad spots day after day. On the other hand, if you use a winch infrequently, it isn’t necessarily a bad thing. Slow line speed means more control, and easier observation during tricky winching scenarios. So for those who prefer a slow and steady winch, this will not be a disadvantage. The Husky 10 posted the highest motor temperature in the test, spiking to 215°F at the end of the second Unimog pull (although it was in the middle for the paved incline pull). Average amp draw was the second highest during the Unimog pull, but second lowest during the paved incline pull. Despite the slow line speed, the Husky successfully pulled to its 10,000-pound rating, although it was really crawling when nearing the five-ton mark. Because of the irreversible movement of the worm drive, primary braking action is provided automatically should the winch stall or the load shift—a significant safety factor. There are also spring-loaded brakes on the drum to prevent overrun and line snarl when free spooling, although this adds resistance when pulling out rope. We also noticed that the clutch lever was sticky, and often we had to move the drum by hand to get the clutch to engage. Line creep was also something that requires close attention, as the drum would continue to spool sometimes as much as two feet of rope after releasing the power switch if not under a load. After spending time with this winch, I decided that while I respect its history and stout construction, it was not one of my favorites. However, my priorities might be different than yours. If you have a vehicle that can accommodate the mounting requirements, don’t mind the slow line speed, and above all appreciate a product that will endure many years of heavy use and environmental exposure, the robust electrics and tank-like worm drive of the Husky would make it a perfect choice. The M8274-50 enjoys legendary status around the globe, and has seen decades of use and abuse while championing the concepts of simplicity, durability, timeless design, and astonishing performance. Like the Superwinch, the 8274 is a Camel Trophy veteran. The basic design of the 8274 has been around since the 1960s. The original version is known as the Belleview winch, as it was manufactured by a company of the same name before it was acquired by Warn Industries. The original design had no reverse capability and used cable-operated controls, including the brake, which employed a band mechanism with an external lever. 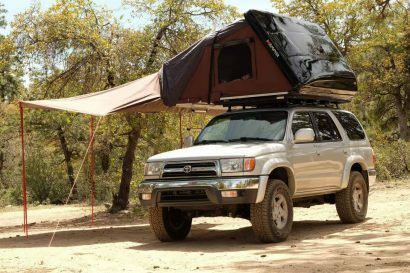 Despite improvements over the years, it still retains the classic upright design, and remains an icon in the world of 4WD. Warn is currently offering a limited edition with some premium features in celebration of their 60 years in business. Only 250 units will be made. Commonly referred to as the “Eighty two seventy four,” this winch is somewhat unique in that it mounts foot-forward: The mounting feet are bolted to a vertical plate at the front of the vehicle. In contrast to the other winches in this test, where the load is concentrated on the mounting feet, the foot-forward mount concentrates the load on the plate and bumper, and not so much on the winch. The gears and brake are assembled in a stacked position on one side of the drum, resulting in the upright design. While these attributes have structural and performance advantages, they limit mounting possibilities on many vehicles. 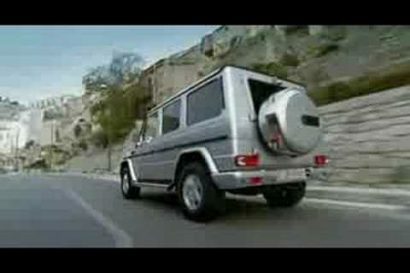 The high profile is at home on 4WDs such as older Land Rovers, Land Cruisers, Patrols, Jeeps, and G-Wagens. But I rarely see 8274s on trucks such as Tacomas, 4Runners, Monteros, Troopers, Frontiers, or Xterras unless the vehicles are highly modified. The 8274 uses heavy-duty spur gears with a 134:1 ratio, along with a large brake, all of which are located to one side of the drum. The external, ratcheting disc brake mechanism is stout and can always be visibly (and audibly) monitored, and it keeps the drum free from the heat that drum brakes can produce. The drum is 3.5 inches in diameter, will hold up to 150 feet of winch line (50 percent more than most winches), and free-spools easily. Clutch operation is via a push/pull knob rather than the common rotating lever, and like the Husky 10, it favors right-hand drivers, requiring lefties to reach across the winch drum. The published no-load line speed for the 8274 is 73.4 feet per minute, but we recorded a blistering 100 fpm using 3/8-inch rope on the first couple of layers on the drum. Speed like this is obviously handy when you’re in a hurry, so it’s no surprise to see these winches by the dozen at competition events. It’s also appreciated by those who need to winch often or assist many vehicles in a group. Even under load the M8274-50 is fast—the fastest winch of the test by a wide margin, recording speeds of 31 fpm pulling the camper and trailer up the paved incline, and 27 fpm on the two consecutive Unimog pulls (almost as fast as the no-load speed of the Husky 10). However, the impressive speed comes at the cost of amperage draw: The 8274 drew some of the highest numbers of the group. For this reason, I’d recommend a good charging system (such as we had on the Jeep JK) and a very healthy battery for extended winching sessions. For average use, the higher draw isn’t much of a concern, since the fast speed means the motor runs for a shorter period. Despite the high amp draws, the winch remained cool, barely breaking a sweat on the Unimog test as the motor reached just 118°F after the second pull. Overall performance was excellent; the winch pulled strongly, quickly, and had no trouble passing the load rating verification test at 8,000 lbs. We did notice a few flaws. When disengaging the gear train to free spool, and moving back to engagement, the clutch lever sometimes sticks, and requires fiddling with the ratchet mechanism to fully seat it. Considering the performance provided by the design, I can live with this. But I was disappointed to see that Warn is still using the old-style solenoid pack, which has historically been problematic. I strongly suggest updating this world-class winch with a sealed, high-quality solenoid assembly like the one used in Warn’s new Endurance 12.0 model. Fortunately, the cables, lugs, and connections have been improved, and overall the wiring is much more tidy and professional-looking than in years past. Although we weren’t able to do so by the time this article was completed, we’ll be testing a 24VDC version of this winch, mounted to a Pinzgauer, and conducting the Unimog pull test as a comparison between the 12V and 24V versions. We’ll publish the results on the Overland Journal blog. The Endurance 12.0 is a new winch in the Warn Ultimate Performance series. The design adds new and welcome elements to the Warn lineup, including an improved solenoid assembly, a D-shaped connector for the handheld remote, and a fan component to aid motor cooling. The polished black powdercoated finish of the 12.0 is impressive, as are the stainless steel and alloy components, including wide, extruded crossbars that span the front and back of the winch over the drum. The solenoid cover is also noticeably more robust and well-sealed when compared to other Warn winches such as the M8000 and the XD9000. The 12.0 comes supplied with all the necessary hardware: a handheld remote with 12-foot cord, power cables, and an interesting accessory: an external cooling fan. Despite the added complexity of a remotely mounted fan and associated air tubes, installation was a breeze. One thing I noticed immediately was how light the 12.0 is. As the highest-capacity winch of the test at 12,000 pounds, I expected it also to be the heftiest. Instead, it’s by far the lightest, an astonishing 54 pounds without rope or fairlead. The cooling fan is a small, plastic device with a foam filter, four mounting holes, and a wiring harness. Warn recommends installing it in the engine bay, which is what we did. A rubber tube runs from the fan to a barbed, plastic elbow fitting that screws into the lower side of the motor housing. Be sure to screw the fitting in before you fasten the winch to the mounting plate, or you won’t be able to rotate the elbow. Another fitting and hose (the exhaust) attach to the upper side of the motor housing. The fan is designed to kick in at 212°F and shut off at 176°F. It moves fresh air into the motor housing to replace heated air that escapes out the upper exhaust tube. During our tests, the fan never came on automatically. An override switch is located on the hand control, allowing manual activation, so I ran the fan during the Unimog pull to give the winch every chance at cooling. I’m not sure how much difference it made: The motor temperatures were slightly higher than the Ramsey Patriot 9500 UT and the Warn M8274-50 (but significantly below the Mile Marker and Husky). The fan itself registered at 212°F. I suspect the fan would make more difference on a hot summer day, when the winch motor exceeds the 200°F mark and moving air would have a more significant effect. The winch faired very well in our no-load line speed test, second only to its cousin, the M8274-50. It also performed well on the paved hill test and the Unimog pull, maintaining low to moderate temperatures and the lowest average amperage draws of the entire group. The load rating verification test was the one that presented a problem. Initially, we mounted the winch to the Ramsey winch plate, which we had already tested to over 12,000 pounds when we tried to stall the 9500 UT. Unfortunately, when the Endurance reached a pulling force of 11,560 pounds, the case casting on the gear side of the winch abruptly fractured and the winch simply came apart. The drum began to separate and twist, fracturing the motor-side casting, allowing the line to pull the winch (no longer attached to some of the feet) into the front of the plate and the fairlead, bending both of them. We had to cut the anchor strap anchoring the back of the Jeep to remove the load from the line. We contacted Warn about the situation. They were extremely responsive, and overnighted another winch to us, along with one of their own production winch plates for the JK. They postulated that some sort of deflection in the Ramsey mount—designed, after all, for a 9,500-pound winch—might have caused the failure. We were receptive to that possibility and happy to give it another go with the Warn plate. We removed the Ramsey plate and installed the Warn unit, noting that there were significantly more brackets, braces, nuts, and bolts than provided with the Ramsey plate. The installation took a bit longer, but was fairly easy. With the new winch mounted to the new plate, we repeated the load rating test, and this time the winch successfully pulled to its full 12,000-pound capacity. After the test, we unspooled the rope and discovered a dent in the drum near the gear side. Once again, we contacted Warn. They informed us that their winch drums are not intended to be used with synthetic rope when the load is in excess of 9,500 pounds. A quick perusal of the synthetic rope product page on Warn’s website indicates that only their own rope is approved for use with their winches. It has a high-temperature urethane coating and a Nomex sheath along the length of the first drum wrap to provide additional protection from drum brake heat. Additionally, the page states that the rope is for winches with a 9,500 pound pull rating or less. We have been aware of a phenomenon with synthetic rope that creates a constrictive effect under extreme tension, which can damage winch drums. The surface properties of the rope (very slick) act differently on the drum surface than a steel rope which has some degree of friction and a less pliable cross-section. Apparently, this is one of those cases. It’s very difficult to draw firm conclusions from one incident; nevertheless, it appears the Warn 12.0, while a strong and solid performer, might have little reserve structural integrity due to its extremely light weight. Warn’s recommendation to use their proprietary mount for the winch is entirely fair. 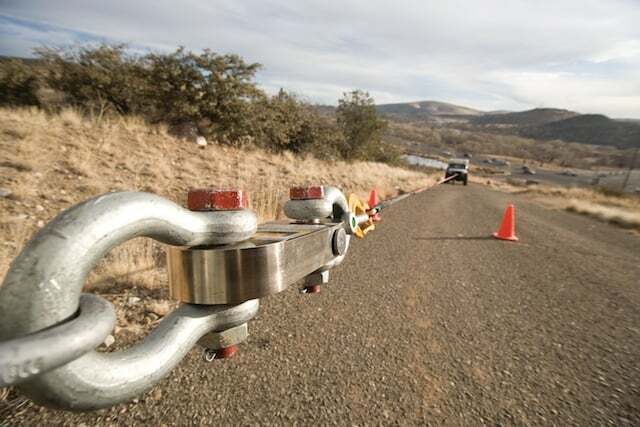 But keep in mind that if you expect to use this winch to its full capacity, you are restricted to using steel cable. Given the attenuated nature of our time with the 12.0, we have decided to mount the replacement on a long-term test Wrangler Unlimited soon to be in our executive editor’s hands. That will give us a full year for a thorough evaluation of this lightweight but powerful winch. Something new: forced air intake and exhaust for added cooling. A well-sealed and protected solenoid pack that can be remotely mounted. Remotely mounted fan sends forced air into the winch’s motor. The Endurance did not fare well on the Ramsey winch mount. A dented drum is a result of using synthetic rope; something for which the Endurance was not designed. When you consider everything you might need from a winch, whether you’re just out having fun or have found yourself in a hazardous situation, you realize the importance of making the right choices. The engineers who design the winch must make the right choices to achieve the best blend of performance, durability, utility, and cost. The manufacturers must specify the right parts, materials, and tolerances. And consumers must make the right choices based on the factors mentioned at the beginning of this article. We must choose a winch that will satisfy all of our criteria and, most importantly, be there for us when we really need it. The Mile Marker V10 is laudable for the fresh thinking that has gone into it. MOSFET control has been employed on winches before, but Mile Marker’s addition of variable speed control is significant. Undoubtedly we’ll see more winches take advantage of modern electronics in a quest for improved performance and reliability. Mile Marker now offers their MiFi (MOSFET) technology controller as a stand-alone upgrade, which they say will work with any winch. (The possibility of variable speed control on something like the Warn M8274-50 is an awesome concept.) The LED status lights at various locations on the V10 system add an extra layer of user awareness and safety to the package. Overall, the winch performed admirably and steadily. However, much like the MOSFET-controlled dual-battery product reviewed in our last issue, the technology has yet to be proven over the long-term for a winching application. This is an inevitable challenge when a company is bold enough to adopt recent technology, but one that will be overcome with time and experience. Given the solid performance we experienced in our tests, I expect to see people accumulating a lot of use on these winches over the next few years. We’ll surely revisit the V-series to see how it’s faring. The Superwinch Husky 10 was an eagerly anticipated addition to our test group. Knowing the rich history behind this winch, I was curious to see how it would stack up to racy designs like the V10, Patriot 9500 UT, and the Endurance 12.0, all of which boasted some kind of new technology. In the end, I fully appreciated the bulletproof gear train and the robust electrics that made this winch famous. The worm drive system is a benefit to assisting hill descents under load, providing a braking capability unlike any of the other winches reviewed. It has proven itself time and time again to be highly reliable and durable, and would have few peers as a heavy-duty expedition tool. However, the Husky’s extremely slow line speed, when calculated against its relatively high amperage draw, results in not just long winching sessions, but heavy overall power use—two significant strikes against the worm-drive construction. Warn Industries has taken several big steps with the Endurance 12.0. The nature of an electric winch means that heat is one of its greatest limitations, and the concept of a fan-cooled motor addresses that fundamental problem head on. My hat is off to Warn for updating the traditional solenoid controller with a much improved and better-sealed version. The Endurance performed extremely well in terms of line speed, amperage draw, and heat control. And Warn has accomplished a major coup in creating a winch with a genuine 12,000-pound capacity that is 20 pounds lighter than some 10,000-pound competitors. However, I’m not convinced the Endurance 12.0 has yet struck a balance. Our experience with the case fracture—admittedly on a non-Warn mount, yet one on which another winch successfully pulled 12,000 pounds—is far from conclusive, but does raise questions about the reserve integrity of the Endurance’s construction if used on anything other than Warn’s own engineered mount. A thicker case and a stronger drum might go a long way to provide better support for the vigorous internals on this winch, as well as compatibility with the widespread use and inarguable advantages of synthetic rope. We’ll be putting a 12.0 on our soon-to-arrive long-term Jeep Wrangler Unlimited—on a Warn mount, of course—so it will get a chance to fully prove its potential. The Warn M8274-50 engenders the same sort of loyalty as FJ40s and Defenders, and for the same reasons: It’s historic, it’s simple and built to last, and it shrugs off hard work and rough service. When you look at performance numbers, it’s a standout. Despite its status as the oldest design here, it should have been an easy pick for Editor’s Choice. And yet—after running the upstart Ramsey Patriot 9500 UT head-to-head with the old gladiator, I was amazed and equally perturbed when I had trouble choosing between the two. On the basis of performance and proven history alone, I leaned toward the Warn. With its powerful motor, spur gears, ratcheting side brake, and oversized drum, it will keep working all day long. But it has just enough trade-offs—trade-offs that the Ramsey offsets neatly—that it’s no easy contest. For starters, the Warn definitely isn’t for everyone. It’s a specialized product (not to mention the second most expensive here). Think about the majority of new vehicles overlanders drive these days; modern body styles with contoured and complicated grills and body panels. The upright configuration and mounting requirements of the Warn simply won’t do well with a lot of these vehicles. The Ramsey is more likely to fit with its compact dimensions and standard mounting pattern. On an ease-of-use basis, I can’t help but contrast the finicky Warn clutch against the easy-as-pie semi-auto unit on the Ramsey. The Ramsey includes a wireless remote, and its control solenoids are tucked away in a weatherproof enclosure. While the Warn was the fastest and coolest running winch, the Ramsey wasn’t all that far behind, especially for a $700 price difference (even more, if you shop around). And that’s for a U.S.-made product carrying the same warranty as the Warn. In the end, the undeniable performance, reliability, and reputation of the Warn earns it my Editor’s Choice award. But the Ramsey 9500 UT is a formidable opponent and attractive alternative, and an effortless choice for the Value Award—with double oak-leaf clusters. My nutshell advice: If you have a vehicle that will accommodate the heft and tall stature of the Warn M8274-50, and your budget can handle it, it’s a hands-down winner. If, on the other hand, you drive a vehicle that wouldn’t work—or would just look wrong—with an upright winch, save yourself some money and install a Ramsey Patriot 9500 UT. You won’t be disappointed. A winch is an incredibly useful tool on an overland vehicle, and is indispensable on a solo expedition, or when deep mud is anticipated. Thus I undertake winch selection with the same care as selection of the vehicle to which I mount it. Matching the winch to the application is vital: Is the capacity sufficient? Is the speed and amperage draw appropriate for extended winch pulls, and compatible with­ the vehicle’s alternator and battery system? Most importantly, is the winch proven in reliability and durability? For me, the ultimate winch is the Warn 8274. I have abused these winches in deep Alaska mud, and used a modified 8274 to win every recovery stage in the 2006 Outback Challenge. The 8274 runs cool, and is fast and efficient, day after day, pull after pull. The only functional Achilles heel of the 8274 is the solenoid pack, which I have personally had fail on several winches. And for many newer vehicles it will be difficult to fit a foot-forward upright winch. Give me an 8274 with the new sealed solenoid from the Endurance 12.0: perfection, and an easy Editor’s Choice. The winch that most impressed me during this test was the Ramsey 9500 UT. The automatic clutch is not a gimmick; it solves an unnecessary time-waster. Other important attributes include the weatherproof integrated solenoid pack, and the fully sealed gearset and motor. Further contributing to its robust build is the 1/4-inch drum thickness, for full compatibility with synthetic line. I do have a few complaints, primarily with the clumsy and stiff wired hand control, which would be more at home in a freight elevator. After a few full pulls, carpel thumb is likely. (But we hear an update is in the works.) Ramsey should be very proud of this winch. Made in the U.S., fast, efficient, and well-built. And it can be purchased for less than $1,000 at many retailers. A value indeed. Along with Chris, I applaud Mile Marker for making efforts toward innovation, but with a 6.5-horsepower motor and 130:1 gearing, I thought the V10 should have been much faster. It’s also important to note that, while the Superwinch Husky suffered in the scoring for nearly all empirical results, this winch is designed for ultimate reliability, not speed. The Husky has the best controller in the group, and I have used these winches with great success on several treks. Reliability and durability are the ultimate characteristics a winch should possess, and the Husky has those in spades. I was excited to test the Endurance 12.0, as it has the greatest potential to be a modern replacement for the venerable 8274. Powerful and fast, yet also the lightest winch in the test. I have decided I am okay with the strict mounting rigidity requirements for this winch, as it is likely that when installed foot forward in an ARB bumper, it would perform perfectly, although this would require testing to validate. However, I am a huge proponent of using synthetic line for nearly all winching scenarios. The Endurance is not currently designed to use a synthetic line to its rated capacity, which is the deal-breaker for me. I do think the 12.0 is very close to a brilliant design, and if I were to build my own Endurance “12.1,” it would include a 1/4-inch thick drum and another pound or two of material in the casting design. And Overland Journal has a brand-new JK coming to the fleet, ready for a long-term torture test. We already have the right mount . . .